The first days of summer are finally here! 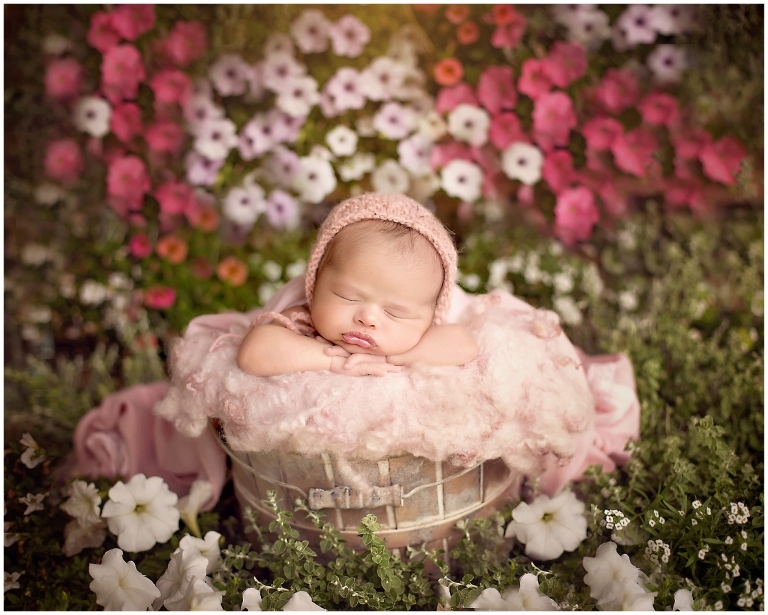 With the temperatures rising comes the opportunity for outdoor newborn photography sessions! To keep these sessions safe and simple, this year my husband and I built a little garden outside the studio in the shade. The days of shooting in the evening and worrying about bugs and harsh sun are over! 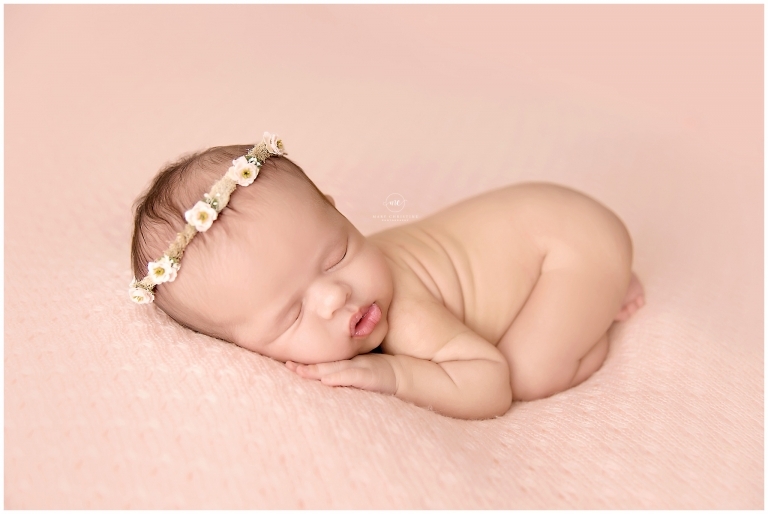 Not to mention, who does not love a baby in flowers? I know I definitely do! Miss Brylynn was my first little one to use the outside garden. 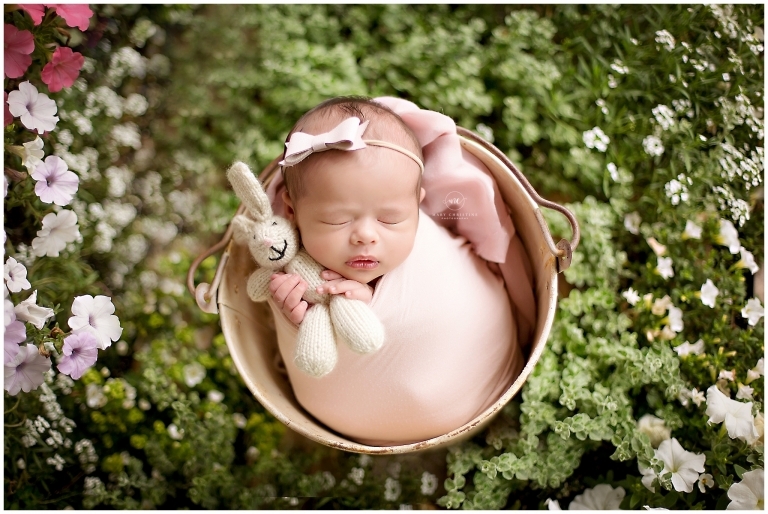 She was an absolute dream for her newborn photography session at fourteen days old! I just love how these outdoor shots turned out. They are simple but beautiful! All my husband’s hard work with the construction of this defiantly paid off! This bonnet from Wild Blossom Props tied in perfectly with the flower colors. Sweet, simple, and gorgeous all day, every day. Add it a few different props and angles and this little lady had one beautiful gallery! Brylynn’s momma requested pink, cream, and florals. I think we accomplished all three for her newborn photography session! I promise not to put your boys in flowers! Thank you so much for stopping by the blog! 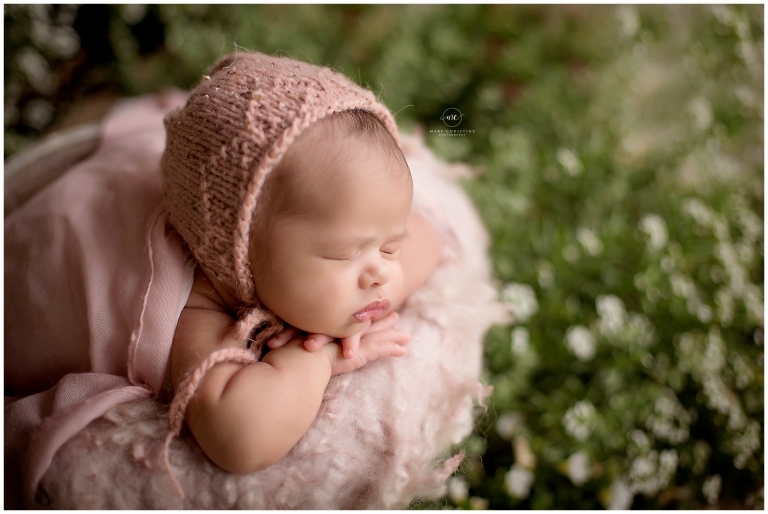 Are you interested in an outdoor newborn session? The garden will be available to clients as long as weather permits. The temperature needs to be about 80 degrees and not raining. We will try to go out as long as possible! If you are expecting a summer or early fall baby, and are interested in a session, please check out the newborn section of the blog. If you love what you see, please contact me today for more information on newborn sessions and scheduling. Currently, the first available are due dates in late July and early August.